WHERE: Washita Battlefield National Historic Site, Overlook and trail head. 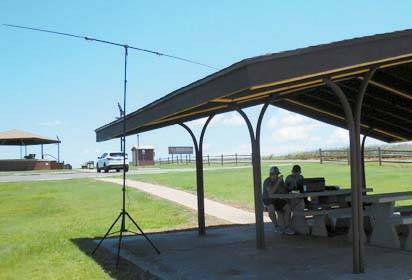 WHEN: Saturday, June 18, 6:00 p.m., doors open at 5:45 p.m.
CHEYENNE, Oklahoma: Come join the West Central Oklahoma Amateur Radio Club and Washita Battlefield National Historic Site for a “Ham” Radio Field Day June 25 – 26 from 1:00 pm Saturday the 25th until 1:00 pm Sunday the 26th for a National Park’s on the Air event. Come participate with local “Hams” and get the chance to talk to others from around the world.